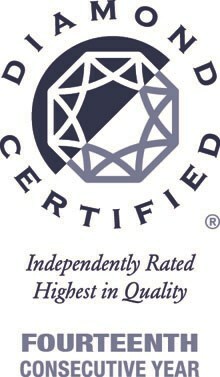 Becoming a Diamond Certified business is no small feat. According to American Ratings Corporation, companies must provide the highest quality local services and pass a rigorous survey of real customers to earn this prestigious accolade. Only a limited amount of companies qualify for this honor, and they must maintain their dedication to extraordinary service to keep it. For decades, we at Metropolitan Van & Storage have risen to this challenge, providing households throughout the Bay Area and Sacramento with the best residential moving services around. We’ve continuously qualified for The Diamond Certified Award since February of 2002, earning a 95 percent approval rate from 279 surveyed customers. Most of our jobs ranked between an 8 and a ten on the Customer Satisfaction rankings because we’ve always held our company to the highest standards. Since the 1940s we’ve taken a full-service approach to moving, offering a wide-range of amenities to satisfy our customers. From packing and crating to modular furniture installation and household storage services, we are devoted to providing a stress-fee experience to whomever hire us. Every one of our well-trained, dedicated employees lives by the same mission: provide a personalized, detailed and streamlined move to make the process as smooth as possible. We take pride in our status as a Diamond Certified company and plan to keep up our excellent work so we can maintain it for years to come. For more information, read the full Diamond report. If you’re interested in hiring a Diamond Certified Bay Area moving company, give Metropolitan Van & Storage a call or fill out our online form for a free quote!